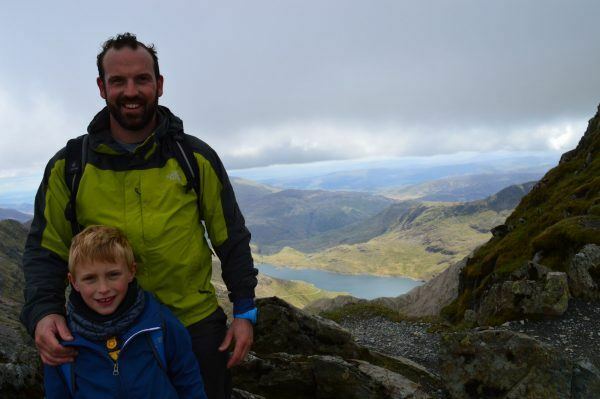 Home » Adventure Families » Is six too young to climb Mount Snowdon? Nope! My six year old boy, George, and I have just returned from our very own ‘Snowdon Adventure‘ over a few days of the half term holidays. In the past 12 months we have enjoyed a number of local father & son camping adventures but this spring was the time to step it up a notch. Having never conquered any form of mountain myself, I came up with the idea of climbing Snowdon. Was it realistic or optimistic to expect a six year old to complete such an iconic British climb? Only time would tell. I researched the best route to balance the adventure against the age limitations and settled on ascending the Pyg track and descending on the Miner’s path. And so on 29th May we found ourselves at ‘base camp’ at Nant Peris, just outside Llanberis, with a sense of anticipation of the climb the following day. 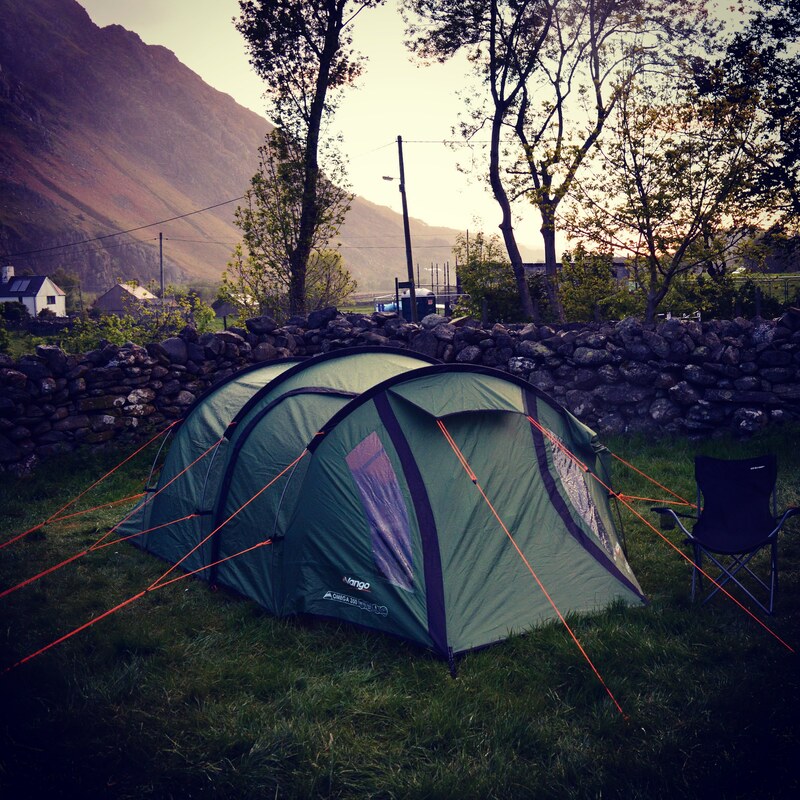 We found a gem of a campsite in the village which was basic but framed by the stunning mountains of Snowdonia (and cheap at £8 per night). We arrived at Pen-y-Pass car park just after 8am and were greeted with the traditional Welsh drizzle! And after weeks of planning we were off. George quickly appointed himself as adventure leader and impressively conquered the steeper technical elements of the route (assisted by Haribo). 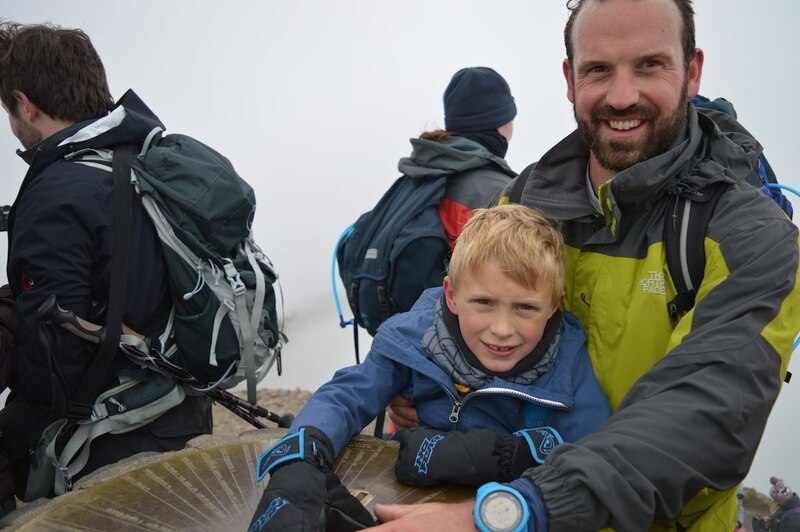 We successfully made the summit, cloaked in mist, around midday and enjoyed a brief moments to savour our achievement before tackling the equally strength sapping descent. The whole walk took 8hrs. We met up with other seemingly seasoned climbers and walkers in the car park and the sense of pride was immense as they commented at how they had seen us during the day and had been impressed at how well George had done. Is that the end of our mountain adventures? Definitely not! I wonder if it is realistic to conquer the the three peaks before the end of the summer…who knows but we will give it a damn good go. Here's how you can get in contact with Pen-y-Pass Snowdon Carpark. Wow, amazing achievement for one so small, Well done!